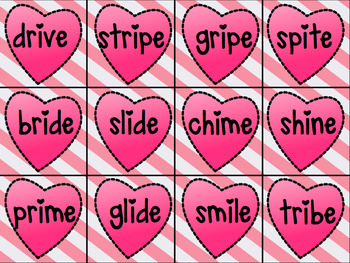 Use this game to build your students' CCVCe word knowledge and fluency! Game Directions: Shuffle cards and place them face-down in a pile. When it is your turn, pick one card and read it. If you read the word correctly you may keep the card. If not, return it to the bottom of the pile. Whoever has the most cards at the end WINS! **UPDATE: This pack now includes cards in two different fonts. **I have recently updated this game. Your download includes the old AND the new game. Both contain the same words, they just have a different look. 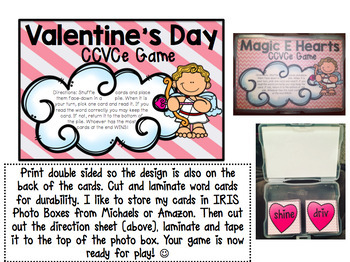 Check out my CVC Valentine's Game here! 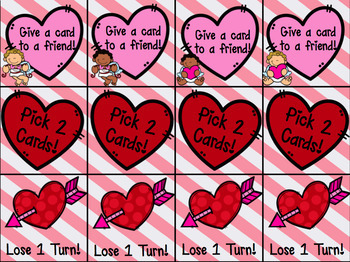 Check out my CVCe Valentine's Game here! 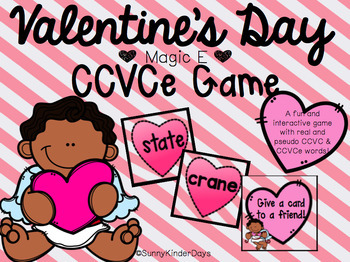 Check out my CCVC & CVCC Valentine's Game here! Or get the entire bundle here!